Every living or extinct creature named after naturalist David Attenborough. 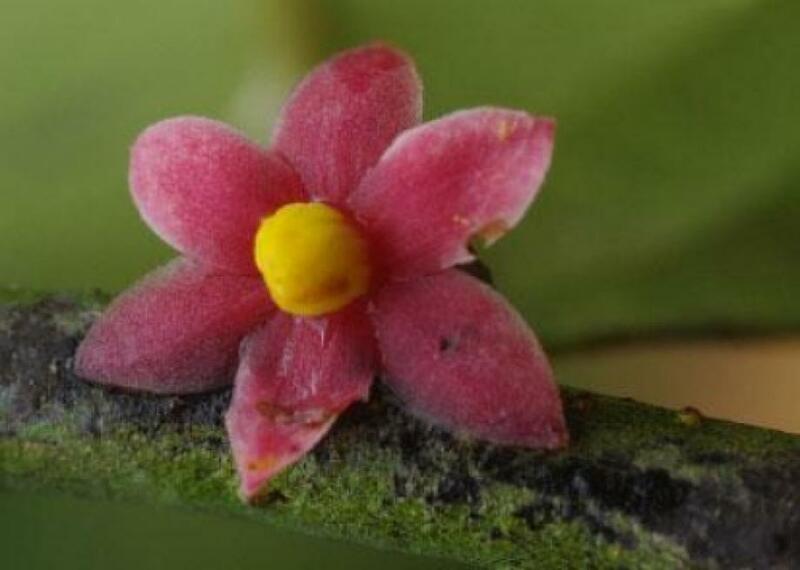 One of the beautiful quirks of biology is that the person who discovers a new species gets to name it. And sometimes, maybe to call attention to their discovery, maybe to honor an idol, maybe because it’s just fun, biologists name plants and animals, living and extinct, after famous people. The world has a wasp named after Henry Wadsworth Longfellow, a beetle named after Pope John Paul II, a spider named after Arnold Schwarzenegger, a fish named after Al Gore, and an extinct hermit crab named after Michael Jackson. Most celebrities get just one random creature named after them; only about 50 people, living or dead, have more than two creatures named after them. Only nine people have five or more namesake creatures. Among the creatures named after Attenborough are a wildflower, a carnivorous pitcher plant, a flightless weevil, an extinct pygmy locust, and an echidna. There is an Attenborosaurus, and most recently, an Attenboroughi butterfly. And there’s been a recent flush of Attenborough namings—six in the past two years. In total, there are at least 14 species, current or extinct, named after David Attenborough. Here they are. Attenborosaurus’ fossilized bones, which were originally identified as a type of Plesiosaurus, were destroyed in World War II. But someone had made a cast, and many decades later, paleontologists studying the dinosaur’s oh-so-smooth skin determined it was its own species. 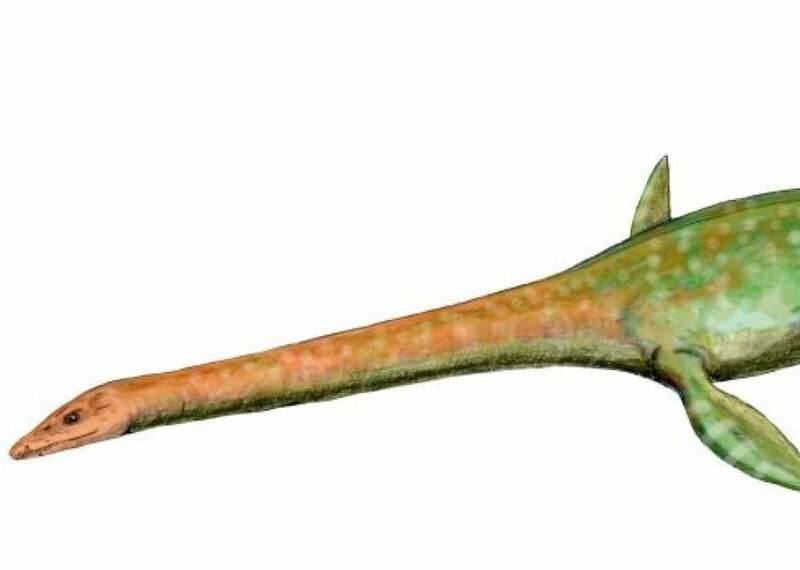 Attenborosaurus would have had a long neck, flippers, and sharp teeth—basically an awesome underwater dinosaur. Sir David’s long-beaked echidna. or spiny anteater, is rarely seen and critically endangered; a scientific expedition in 2007 did find evidence of its continued existence, although no one on the trip actually saw one. But they found burrows! 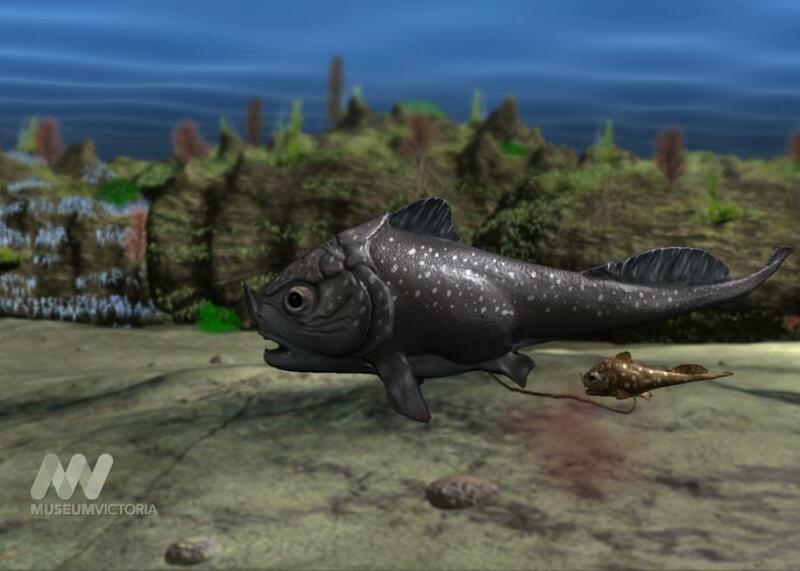 Found in Australia, the fossil of this ancient fish, which lived 380 million years ago and had armor around its head, included an embryo attached to its mother by an umbilical cord. Cute! Attenborough’s pitcher plant is found on only one mountain in the Philippines and is gigantic enough to digest rats and shrews. Do not mess with this plant. This spider is just over 1 millimeter long! And can be found on an island off the coast of Australia. Gnatcatchers are a type of small birds that live in North and South America; this one has a song that can be distinguished from similar birds’, but its primary distinction is genetic. 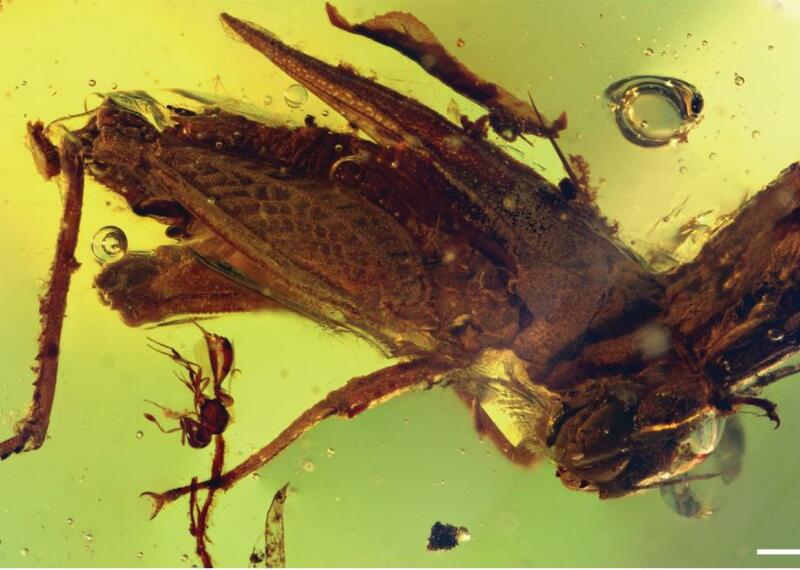 In the 1950s, an entomologist traveled to the Dominican Republic and brought 160 pounds of amber, 18 to 20 million years old, back to the United States. When scientists started searching through it a few years ago, they found, among flies, bees, ants, wasps, and spiders, a tiny locust “the size of a rose thorn” with vestigial wings. Another tiny Attenbourghi! This one is just 2.14 millimeters long. This year, the naturalist had an entire genus—the taxonomic category above species—named after him. 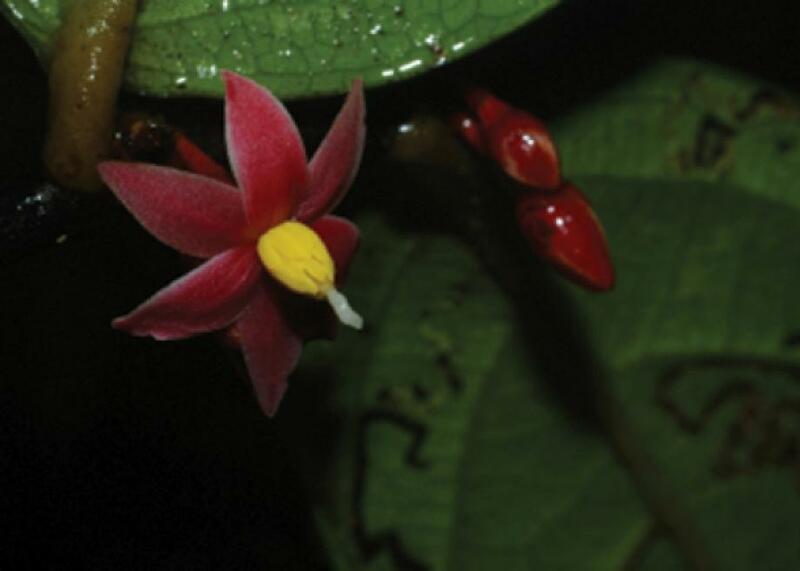 Sirdavidia plants are characterized by “fully reflexed red petals” and “16–19 bright yellow, loosely arranged stamens forming a cone,” among other features. These pretty yellow flowers were actually discovered in 2004, but it took a decade to show that they were a unique species. It’s the only living species from Britain to be named after David Attenborough. This lizard, which lives in Namibia, is pretty flashy, compared to some of the teeny-tiny creatures that came before it. Like many of its predecessors, the newest creature to join the menagerie of Attenborough namesakes is very rare and very awesome. A little Lady Liberty stands in the Norway town where the copper for the real thing came from. This narrow Ghent, Belgium, alleyway is an officially sanctioned street art tunnel. Make your reservation to have coffee with some kitties at Seattle Meowtropolitan Cat Café.